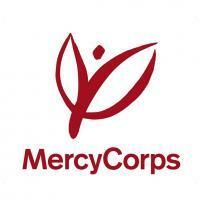 Mercy Corps is a global aid agency engaged in transitional environments that have experienced some sort of shock: natural disaster, economic collapse, or conflict. People working for it move as quickly as possible from bringing in food and supplies to enabling people to rebuild their economy with community-driven and market-led programs. To lay the groundwork for longer-term recovery, Mercy Corps focuses on connecting to both government and business for the changes they would like to see. "We actually focus on access to financial services as the critical element for helping to move people out of poverty", Nancy Lindborg, Mercy Corps President.